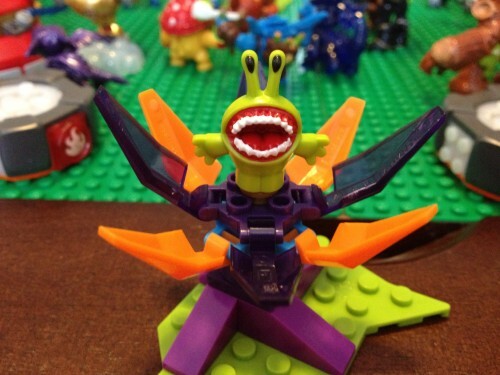 I received a whole new crop of MEGA Bloks Skylanders Giants toys to try out and review. as always, opinions are 100% my own. 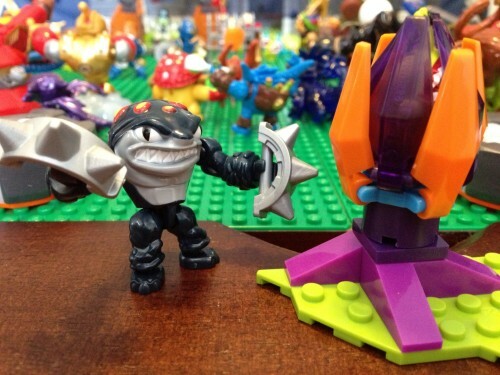 MEGA Bloks has created three different Skylanders Giants sets based around the Earth Element character of Terrafin. This time Terrafin is back in a Hero Pack with a pair of crazy large Spiked Knuckles. His opponent is a Chompie Spawner. The Terrafin Hero Pack is the kind of set I’d love to have multiples of because of the Chompie Spawner. It would be cool to have a bunch of these all over the place when I set up all my MEGA Bloks Skylanders Giants sets. I don’t necessarily need even more Terrafin figures. I think this set could have been done without Terrafin and maybe done with a different figure. While I am excited for those spiked knuckles I think they could have been added to the Battle Portal set instead of a whole new set. I’d have liked to have seen another character released like Prism Break for instance. The Chompie Spawner is a great enemy to have in the collection. I wish that there were even more of them in different colors. It is such a colorful piece that looks great with the petals closed up or open. The one thing I would have added (as I did in the video) would be a small circular piece so that you can attach a chompie to the inside of the spawner. 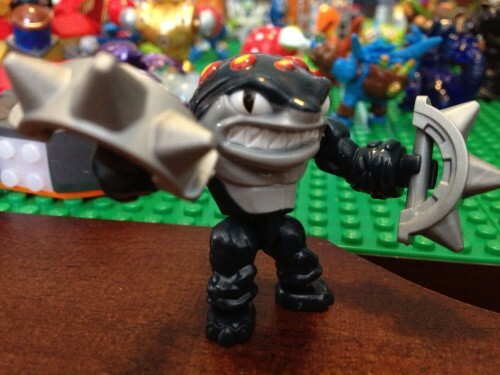 The spiked knuckles are what make another Terrafin figure tolerable. They are huge and look great. Another cool think would be to include little feeding frenzy sharks and the chainsaw fin attachment for Terrafin’s fin. Those would be cool things to have for the Terrafin figures.